Roger Derrington QC and Michael Lee SC have been appointed as judges of the Federal Court of Australia, Attorney-General George Brandis QC has announced. Lee started at Sydney Registry Monday, while Derrington will start at the Brisbane Registry Wednesday. Derrington was admitted to practice at the Supreme Court of Queensland in 1986 and signed the High Court Roll in 1987. He undertook post graduate legal studies at the University of Oxford before becoming a tutor and sessional lecturer at the University of Queensland in 1989. He commenced practice as a barrister in 1990 and was appointed Queen’s Counsel in 2004. He has also served as associate to the Hon Sir Gerard Brennan, Chief Justice of the High Court of Australia. Lee graduated from the University of Sydney with a bachelor of laws in 1988. He is an expert in commercial law, equity, class actions, administrative law, employment law and anti-discrimination, building and construction, public interest law, commissions and public inquiries, industrial prosecutions, banking and finance, insurance and criminal law. 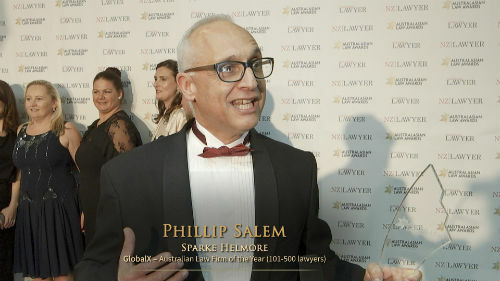 He was admitted to practice as a solicitor of the Supreme Court of New South Wales in 1989 and commenced his career as a solicitor at Corrs Chambers Westgarth in 1989, becoming a partner in 1995. He signed the Bar and High Court Rolls and commenced practice as a barrister in 2002 and was appointed Senior Counsel in 2011. The appointments of Derrington and Lee follow the appointments of Judge David John O’Callaghan in February and judges Stephen Carey George Burley, Natalie Charlesworth, and Robert James Bromwich last year.